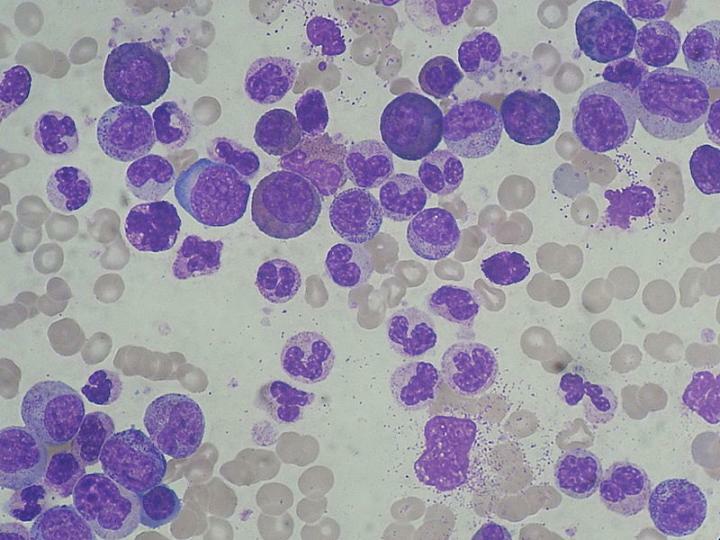 A new treatment plan that sequentially combines several drugs for chronic myeloid leukemia (CML) has the potential to reduce patients' chance of relapse and increase their life expectancy, according to a study published in PLOS Computational Biology. CML cells often harbor a mutation called BCR-ABL that is not found in healthy cells. Standard CML treatment relies on drugs–imatinib, nilotinib, or dasatinib–that target this mutation. However, some patients do not respond to treatment, or they relapse, often due to additional mutations in their cancer cells. Theoretically, combining the targeted CML drugs could improve survival, but giving them simultaneously could result in severe side effects. Qie He and Kevin Leder of the University of Minnesota, Minneapolis, along with colleagues from the University of Minnesota and the Mayo Clinic, used mathematical modeling to determine the best way to give these drugs one after the other. The researchers combined previously established mathematical models to predict how CML cells with different mutations would respond to imatinib, nilotinib, or dasatinib. They then analysed different treatment schedules to determine combination strategies that would maximize time until disease progression for hypothetical patients. The analysis suggests that, under a wide range of scenarios, an optimal combination schedule may be more effective at controlling CML than any of the three drugs alone. These findings will require experimental validation before they can be used to inform clinical decisions. Nonetheless, they could help pave the way to CML treatment that is customized according to the distinct characteristics of a patient's cancer cells. "We have discovered that designing optimal anti-cancer therapies based on cellular parameters can lead to significant improvement in patient survival," says senior author Kevin Leder. "This has the potential to help in the search for personalized medicine." Funding: JF is supported by NSF grants DMS-1224362 and DMS-134972. KZL is supported by NSF grants CMMI-1362236 and CMMI-1552764. JZ was supported by NSF grant CMMI-1362236. The funders had no role in study design, data collection and analysis, decision to publish, or preparation of the manuscript.